According to the BBC Sport website, the Liverpool board have offered manager Rafa Benitez a £3 million severance deal that would see him leave the club with immediate effect. It has been reported that it would cost Liverpool upwards of £16 million to fully buy-out the remainder of Benitez’ contract if they were to sack him, and so it would appear the Anfield board are trying to negotiate a compromised pay-off that would allow both parties to start afresh. 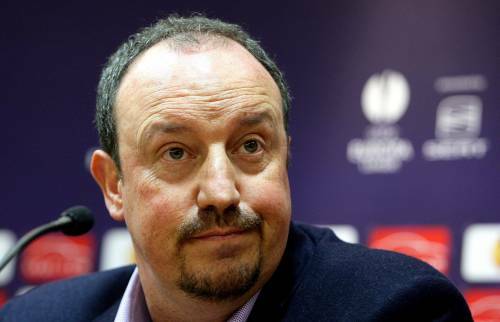 The Liverpool hierarchy are understood to be keen to use Inter Milan’s well-publicised interest in acquiring Benitez’ services as leverage to usher the former Valencia boss out of the club for a fraction of the price it would cost to can him outright. UPDATE: Sky Sports News seem to think that Benitez will leave Liverpool within the next 48 hours, with Kenny Dalglish taking temporary charge. as long as they don’t actually hire mark hughes. i guess pellegrino isn’t doing anything. and that might help them sign rossi if there’s really anything to that rumour. bad news for liverpool fans! bugger, I was looking forward to watching him steward them to mid table next season. Dalglish coming in won’t have any power to buy or sell players I would guess which will probably give the glazers a free reign to do what they want with torres and gerrard. Please stay Rafa.I think your great so do all Evertonians.